If you’re wondering whether to book in a cut and colour before or after a trip, we’ve got the stylist-approved answer: it’s best to do it before. Freshly-trimmed ends will ensure the hair is in the best condition to handle the heat, while recently-refreshed hair colour will look incredible in vacation photos. Another trick to get summer hair feeling healthy is to treat strands to the Wella Reconstructive Service, which sees damaged lengths treated to the Fusion Amino Refiller for smoother, more resilient strands. If you’re a stylist, head to the Wella Education platform, where we provide an online seminar that teaches you more about the Wella Professionals Care range. Hair needs UV protection, too. To shield your strands from the drying effects of the sun, pack a protective spray or cream that will keep lengths soft and supple all season. On fine hair, spritz a lightweight formula, like Wella Professionals Sun Protection Spray, and treat coarser hair types to Wella Professionals Sun Protection Cream. Low-commitment colour works best in summer, as it fits around a busy routine. 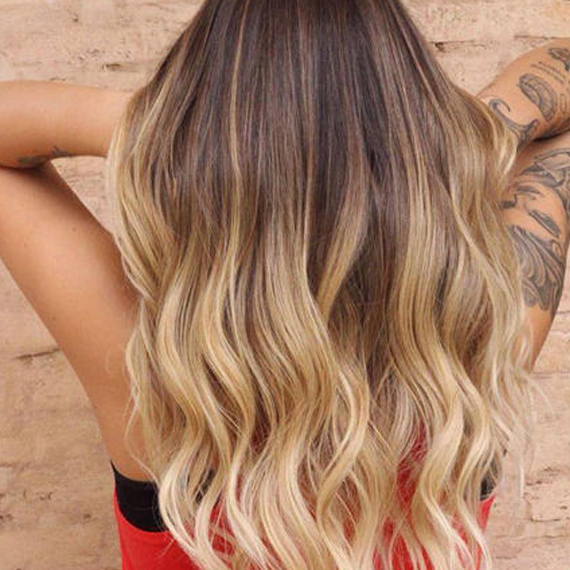 Think balayage or a root-stretched ombre; they both require fewer root touch-ups. Go to a Wella Professionals salon, ask your stylist for one of these low-maintenance looks, and enjoy cool, surfer-girl highlights that will see you through to the end of the season. 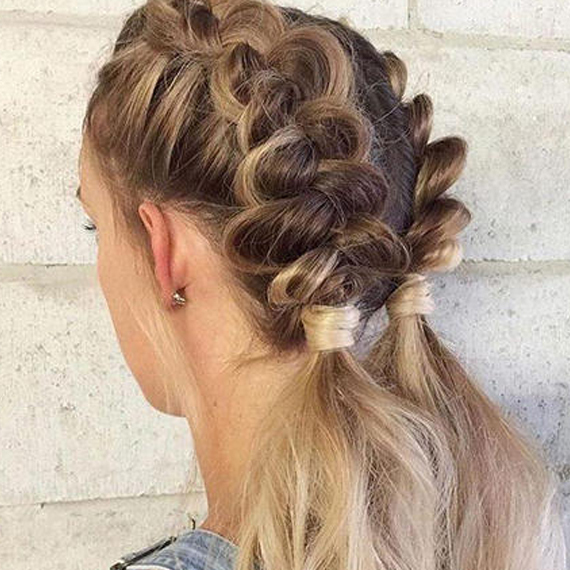 If you want to boost that balayage, braid your way to a seriously sun-kissed finish. By plaiting your hair before you step outside, you expose different sections to the lightening effects of the sun, resulting in natural highlights scattered throughout your lengths. Easy. Refresh your hair shade while you’re on holiday with Wella Color Fresh Semi-Permanent Hair Colour. It’s an ammonia-free conditioning treatment that boosts vibrancy, and fits easily in your suitcase. To get a perfect shade match, visit a Wella Professionals salon ahead of your trip, and ask your stylist to help you find your ideal colour. Where you can, avoid styling your hair with heated tools, like tongs or a hairdryer. Your hair can do without the high levels of heat when you’re prepping for a summer vacation. Instead, go for tool-free hairstyles; mist mid-lengths with Wella Professionals EIMI Ocean Spritz to get a tousled look, or braid wet hair and shake it loose when dry for dreamy waves. Still craving the flawless curls you get from a curling iron? Then spritz on Wella Professionals EIMI Thermal Image, a heat protection spray that keeps strands safe and enhances shine. For more summer hair inspiration,visit our Wella Hair Family Gallery and follow @WellaHair on Instagram. Want to be featured on our social channels? To be in with the chance, tag your own photos of incredible hair creations with #WellaHair #StylistsDoItBetter. Be part of the latest hair colour trend – achieve a hair transformation at a salon near you! Some products are available only to professionals. Love this Wella look? Learn more about color and styling techniques on the Wella Education platform. SEE IT. LOVE IT LEARN IT.